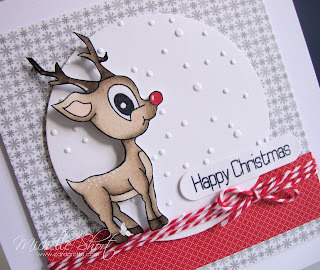 The Card Grotto: The Cutest Reindeer In Town! The Cutest Reindeer In Town! Is this not the cutest reindeer you did ever see?! When I got previews of the Clearly Besotted Stamps sets I saw this reindeer and fell in love! I don't usually make Christmas cards this early (yep, it's still early for me) but I could not resist inking this beauty up. COPIC MARKERS - E40, E41, E43, E44, E47, E49, R24, R27. Apologies for the photo's again, it is so dark and miserable here in Surrey today. Have a great day whatever you are up to. 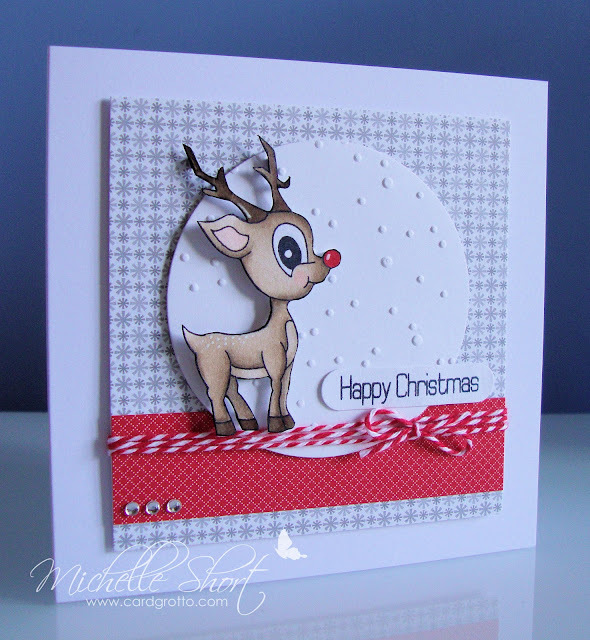 Gorgeous Michelle, love the layout you've used. I keep stamping him and then turn round and one of the girls has pinched him to colour in!! I'll get him onto a card if it kills me!! C U T E !! Gorgeous card Michelle, no wonder you couldn't wait to make it ! Super cute card. 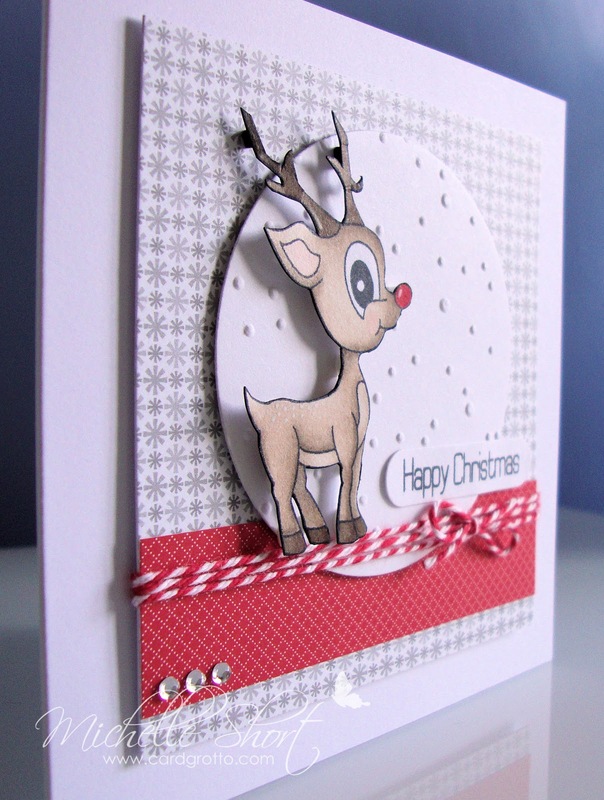 Love how you cut the reindeer out. 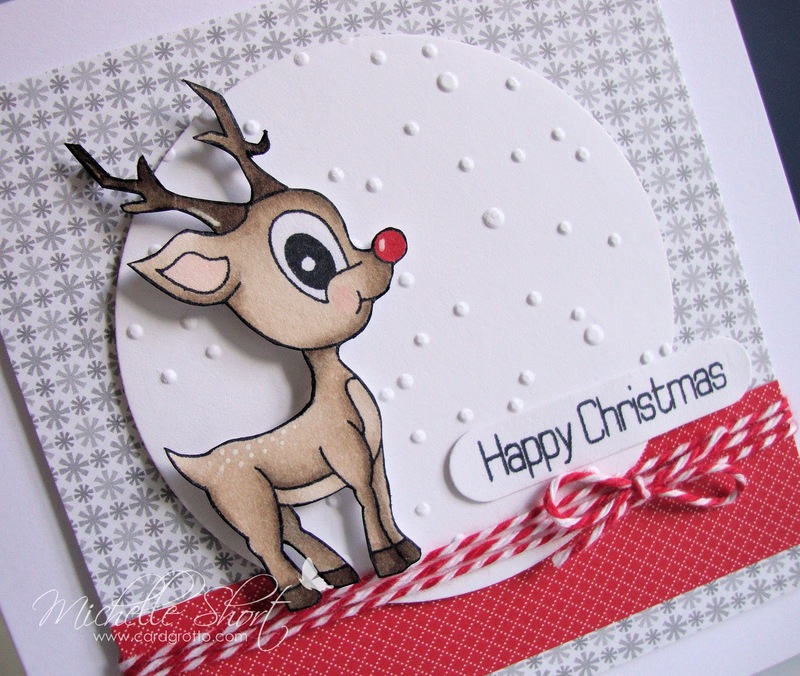 This little reindeer is a cutie and coloured in perfectly. I love the layout of the card. I am glad it is not just me who haven't started their christmas cards - I am thinking about it, but stuff just seems to be getting in the way! Thanks for the inspiration Michelle. Yep, he is a cutie!! Great card Michelle! !